Four aces are peeled off the deck and set on top of a card box. Meanwhile, a card is chosen and signed by the spectator, then set on the table, far from the aces. The Aces are verified to still be visible, before being set beneath the card box. The magician pauses for a second, then turns over the previously selected card... to reveal the four aces. But if the Aces are where the selection was, then the selection… The card box is lifted and the spectator turns over their signed card. Sure enough - they've changed places. 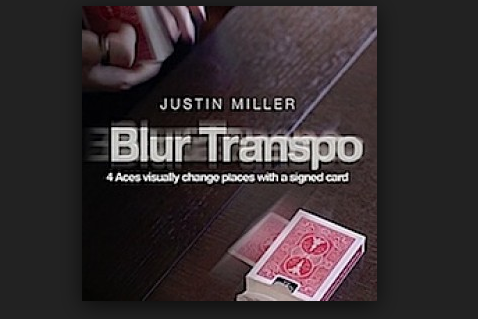 Justin Miller has created a transposition of four aces and a signed playing card using original moves created by him, moves which are used throughout a number of his effects. In nearly twenty minutes of thorough teaching, Miller explains his newly created sleights and subtleties, revealing a modular effect that's bound to please even the most hardened move-monkey.